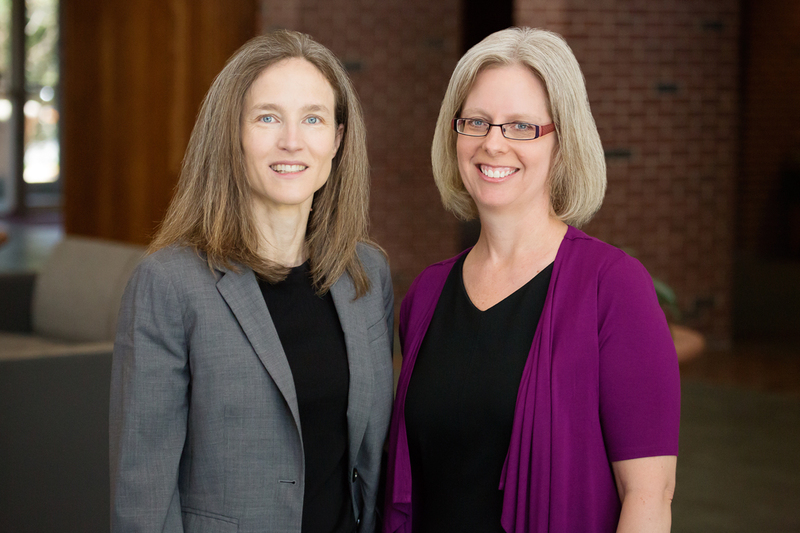 The failure of federal watchdog agencies to require admissions of guilt from the targets of civil enforcement can trigger calls for greater accountability from the public, says a new paper from U. of I. law professors Verity Winship, left, and Jennifer K. Robbennolt. CHAMPAIGN, Ill. — Should federal regulatory agencies such as the Securities and Exchange Commission require admissions of guilt from the targets of civil investigations? According to a new paper co-written by a pair of University of Illinois law professors, even though the federal watchdogs rely heavily on “No admit-No deny” settlements as an enforcement tool, the failure of regulatory bodies to require admissions of guilt can trigger claims of “rigged justice” and calls for greater accountability from the public. Building on studies of the legal functions and effects of apologies, U. of I. law professors Verity Winship and Jennifer K. Robbennolt find that although the choice is often portrayed as binary – either an agency requires an admission of wrongdoing or it doesn’t – the reality is more much nuanced. “Holding big companies responsible has struck a chord with the public, so this paper is really about accountability in the context of civil enforcement through regulatory agencies like the SEC, the Environmental Protection Agency and the Department of Justice,” said Winship, an expert on corporate litigation and securities enforcement. An important piece is “really thinking about what it means to take responsibility,” said Robbennolt, the Alice Curtis Campbell Professor of Law and co-director of the Illinois Program on Law, Behavior and Social Science. The paper speaks to the contrast between what companies will say publicly and what they legally agree to admit in a settlement, highlighting the Wells Fargo “ghost accounts” scandal as a signal example of a company that issued an almost pro forma nonapology apology while escaping from the thornier issue of having to admit wrongdoing. The stakes are high because the choice of admissions policy goes to the heart of civil enforcement, the authors said. Despite that tension, Robbennolt and Winship both caution that settlements are an essential engine for administrative enforcement. “We aren’t making the argument that the watchdog agency should always require a full-throated admission of wrongdoing, in part because it would be very hard to have an efficient enforcement system if we didn’t sometimes allow for a settlement without admitting wrongdoing,” Winship said. The paper will be published in the Minnesota Law Review. Editor’s notes: To contact Jennifer Robbennolt, call 217-333-6623; email jrobbenn@illinois.edu. To contact Verity Winship, call 217-244-8161; email vwinship@illinois.edu. The paper “Admissions of Guilt in Civil Enforcement” is available online.